The first confirmed Irish breeding colony of this bat was discovered in May 1997 near Lough Neagh. Since then it has been found across Northern Ireland but mainly close to Loughs Neagh and Erne. 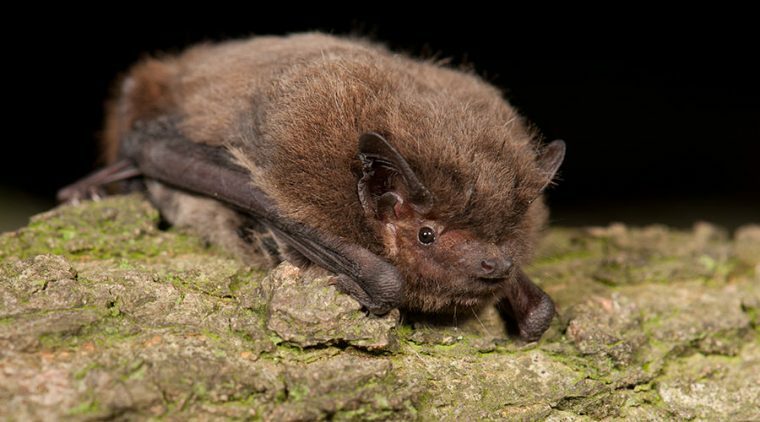 The Nathusius’ pipistrelle has been recorded by bat detector in a number of counties in the Republic and small roosts have been found here but it has not yet been confirmed breeding. This bat has similar features to the two other pipistrelles so it is possible that it has been under-recorded in roosts, or the Irish population may be recent in origin. Research by the Centre for Irish Bat Research suggests that its population is expanding due to global warming. The Nathusius’ pipistrelle is migratory in Europe, migrations of more than 1,600km have been recorded between summer and hibernation sites. It is not known whether the Irish population migrates within or from Ireland to another country to overwinter, although there is evidence that Nathusius’ pipistrelle bats migrate from Britain to overwinter on continental Europe. The Nathusius’ pipistrelle often forages over water or along forest tracks. The species is recorded by the Car-based Bat Monitoring Scheme, although in such low numbers that its annual population trend is difficult to establish with certainty.